In the Symposium, recent progress and new aspects of organic reactions will be demonstrated and discussed, ranging from all new methods and reactions to industrial processes and functional materials. The themes and topics are listed as below. 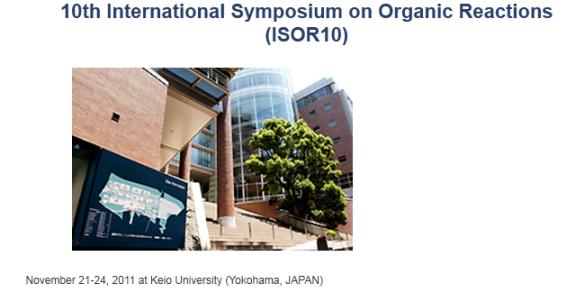 The Symposium will provide a further and brilliant development in many fields related to organic reactions, which play important roles in exploiting innovative organic synthesis with high originality and practical use.